Puerto Vallarta Aiport (Airport Code = PVR) is officially named Licenciado Gustavo Diaz Ordaz International Airport, named after President Gustavo Diaz Ordaz. Since Puerto Vallarta is such a well-known destination in Mexico, the Puerto Vallarta airport handles a high volume of tourists every year – over 2.5 million passengers in 2011 alone. Because of the high volume of passengers it is listed as the 8th busiest airport in Mexico. It is well connected to airports in Mexico and also to other major hubs in the U.S and Canada. 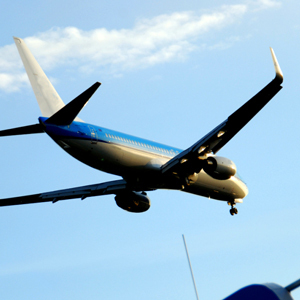 For more information about the many airlines available at this airport check our Airlines page. The airport has two levels the main level and the upper level. The main level is accessible directly from the street level. It has the check-in counters for the airlines found at the airport (domestic or international) and also most of the airports services – like food places, small shops, a post office, a bank and a currency exchange office. Additionally the main level is the exit point for all international arrivals to Puerto Vallarta. The upper level hosts a wide variety of restaurants and gift shops that are located before the security area. Past the security area you can find more places to eat, a lounge area and duty-free shops. The lounge and duty free-shop area is called Hall A while Hall B hosts newer gates for most international flights. See our Airport Services page for more information on what you will find once you are at the airport. We also present you with detailed information about what happens once you arrive at the airport on our Arriving to Puerto Vallarta page, including customs, passport control, and entry requirements. You will also find some details about the dreaded “shark tank”, an area filled with timeshare salesmen, and hints on how to bypass it. For more information about transportation and how to get to and from the airport check our Airport Transportation page.